ARLINGTON, Va. -- American ground fighters must overmatch any potential adversary, now and in the future, the leaders of the Close Combat Lethality Task Force said here yesterday. Robert Wilkie, the undersecretary of defense for personnel and readiness, and retired Army Maj. Gen. Robert Scales, who serves on the task force's advisory board, spoke about the effort at the Association of the United States Army's Sullivan Center. Scales said the reason behind the task force comes down to three numbers: 90, four and one. Ninety percent of Americans killed in combat are infantry, he noted. "They constitute four percent of uniformed personnel and receive just one percent of the DOD budget for training and equipping," Scales said. 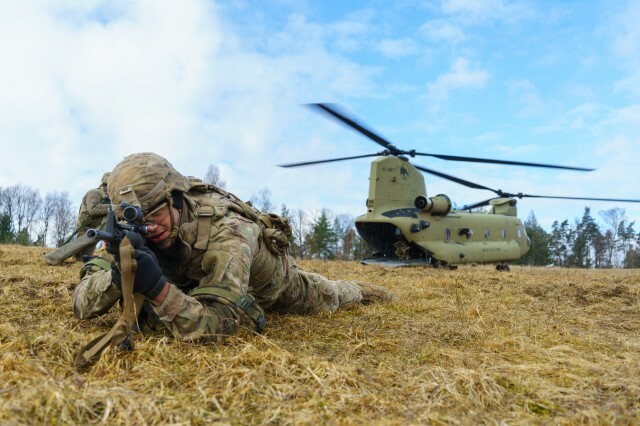 The United States maintains combat overmatch in every other portion of the battlefield -- air, sea and space -- yet the small infantry unit, the unit most likely to be under fire, is the one that comes closest to a fair fight with an enemy, Scales said. 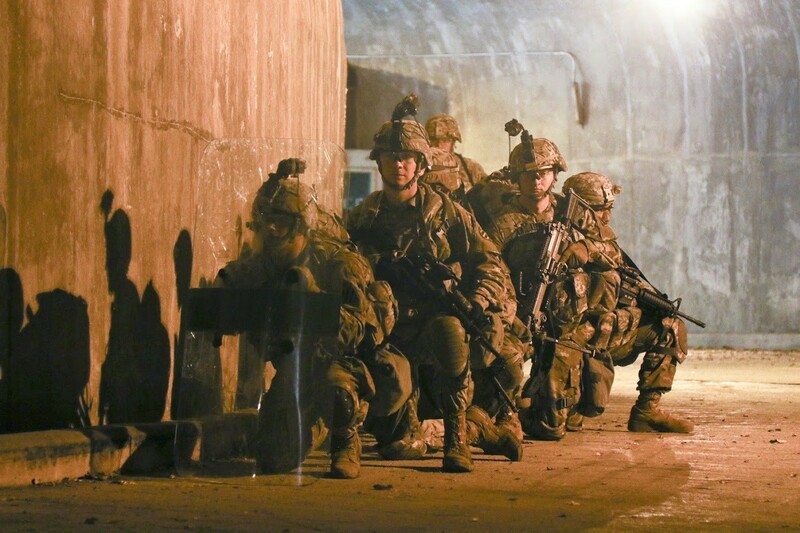 Success in ground combat "lies not just with technical superiority, but with the human dimension," Wilkie said. "There is nothing more important than focusing our energies now on developing and nurturing the unique capabilities of human performance," he added. "That means bringing fresh vigor, renewing our sense of urgency and enhancing the lethality of our front-line Army and Marine Corps units." The task force will look at how the services select the right people for this crucial job and what the services need to do to retain them. It also will examine how the services judge fitness and provide fitness. "Finally," Wilkie said, "do we understand, as do our greatest athletic leaders, that success comes with constant repetition and training?" Some aspects do not require legislation or extra money. Willke said the Army personnel system can be changed to keep units together and allow infantry personnel to bond with their unit mates. Programs can also be put in place so soldiers and Marines are actually training with their units and not performing an ancillary duty. "Every plane and ship we purchase comes with sophisticated simulators to train personnel to overcome every conceivable contingency," Wilkie said. "We would not buy a plane of a ship that was not packaged along with that technology. But we don't do that for our ground forces." But it can be done, he added, and when combined with exercises at Fort Irwin's National Training Center, the Marine Corps Air Ground Combat Center in California, or at the Joint Readiness Training Center at Fort Polk, Louisiana, this training can be invaluable with keeping infantry alive. Wilkie and Scales said the task force will also look at weapons, protective systems, communications gear, unmanned tactical systems, doctrine and many other issues as it continues its work.